Ever wanted your own retro pinball machine? This Honiton auction is selling THREE of them! Ever wanted your own retro pinball machine? This Honiton auction is selling THREE of them! 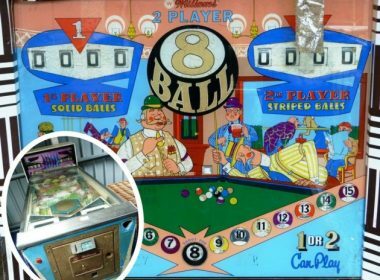 | Honiton, Axminster and Seaton news – Midweek Heraldhttp://www.midweekherald.co.uk/news/ever-wanted-your-own-retro-pinball-machine-this-honiton-auction-is-selling-three-of-them-1-5505074A unique trio of nostalgic pinball machines will be going under the hammer in Honiton this weekend. Pining for pinball? 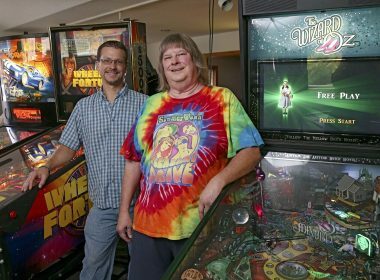 The game’s greatest hits are in Allentown on Saturday | lehighvalleylive.comhttp://www.lehighvalleylive.com/entertainment/index.ssf/2016/05/pining_for_pinball_the_games_g.htmlPinFest 2016 is being held at the Agri-Plex. The price of admission gets festival-goers unlimited play on the machines. Pinfest in Allentown: Calling all pinball wizards – The Morning Callhttp://www.mcall.com/entertainment/mc-pinfest-allentown-fairgrounds-pinball-20160505-story.htmlAbout 3,000 people will converge on the Agri-Plex at the Allentown Fairgrounds this weekend to play a game that once might have qualified for endangered species status. ZapCon 2016 at Mesa Convention Center – East Valley Tribune: Get Outhttp://www.eastvalleytribune.com/get_out/article_009416ae-032f-11e6-bbf2-7bb04fafb7a2.htmlGame-lovers assemble! Those in the valley who enjoy playing arcade and pinball games will get their fill and more at ZapCon at the Mesa Convention Center April 16 and April 17.